I’ve been meaning to tell you about this for ages. Every time I make a batch of this granola, I’ll take some photos and then get distracted by some other crafty thing to post about. Enough is enough, let’s talk about granola. 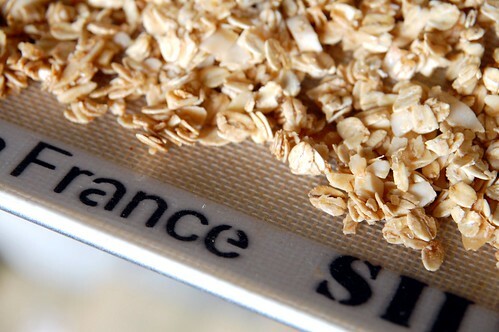 I actually used to think that it was silly to make your own granola. I thought it took too long, cost too much and why make it when you can buy perfectly good granola. This is coming from someone would make pretty much rather make absolutely everything in life myself, if possible. Well, I was very wrong. 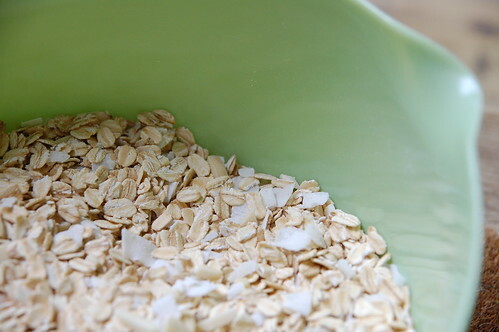 Making your own granola is the best, especially this one. 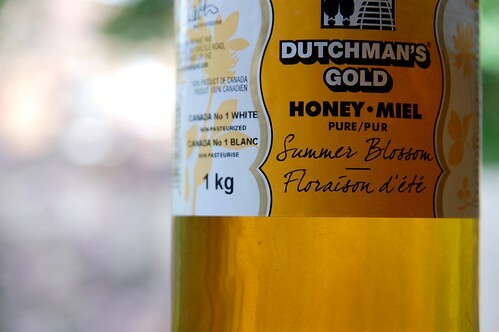 The recipe comes from my favourite food blog, Orangette. When I read the name, I imagined it to be my kind of breakfast. 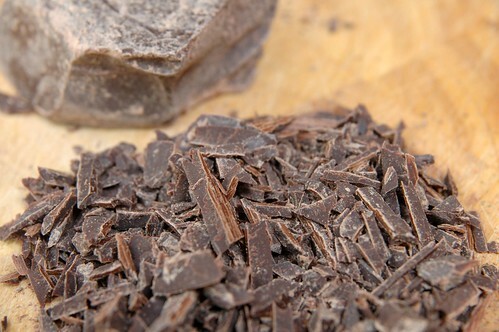 Chocolate for breakfast sounds like a great idea. It’s also the easiest thing to make. 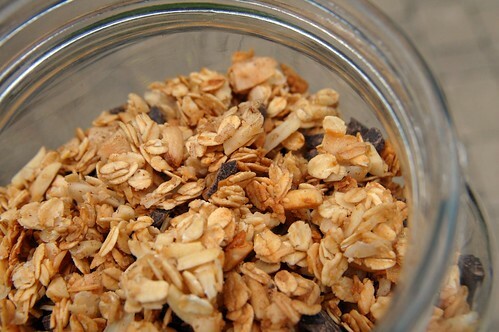 The wonderful thing about granola is that you can’t really go wrong, if there’s something you want to add to the recipe (dried cranberries, wheat germ, etc) just throw it in. This recipe is pretty perfect, but I do make a couple tiny changes when I make it. 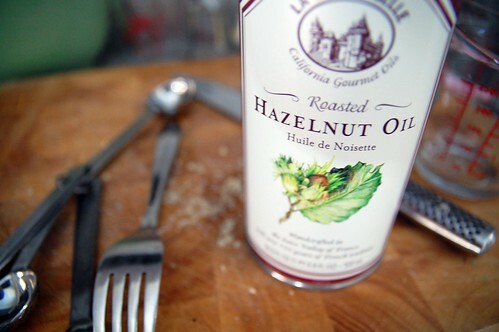 Instead of vegetable oil, I use roasted hazelnut oil. It adds a lovely nutty flavour. I also use demerara sugar and double the amount of coconut. The other thing I usually do when I’m making a batch, is to mix a second batch together with just the dry ingredients and store it until I run out of my current batch. (which happens really quickly) Making that second batch takes no time all and you’ll be quite excited by that when your stash of granola has run out. 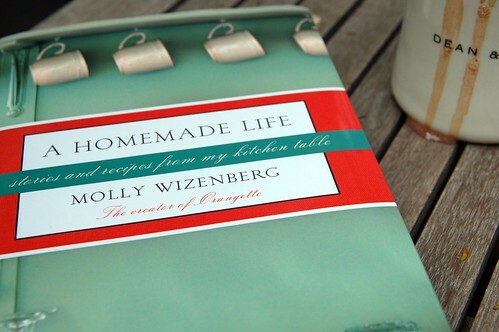 I should also take a minute to just gush about Orangette, Molly Wizenberg and her book, “A Homemade Life”. Molly’s blog is so engaging and delightful. Are you reading it? Oh, you should be. She spins lovely tales of her life and memories and then she throws in a recipe that makes you absolutely hungry. I read her book during the summer and again, I meant to tell you all about how much I loved it. Her writing translates so perfectly into book format. I found myself fixing up a little snack or breakfast and enjoying a chapter or two everyday out in the backyard, savouring every single word. I can’t say enough good things about Molly. I just spotted a quick pasta recipe this morning on her blog that I might need to make. Today. I’m so glad we finally had this talk. You’re my hero! I’ve wanted to do this since you told me about your last batch! Yum. I’ve been thinking of trying to make granola but there are so many recipes it’s was hard to know what to try. Breakfast with chocolate is so good. that book is the best! I feel like I cook one of Molly’s recipes almost every week. The banana bread is amazing, the salmon is so yum, and I make a pot of her tomato and fennel soup all the time. Karyn! I did it! I made the granola yesterday, because I had everything I needed already in my cupboard. IT WAS DELICIOUS for breakfast this morning. I may have to try the chocolate and granola it looks sooooo good. Thanks again for hosting the knit night! I read A Homemade Life earlier this year and just LOVED it! My usual granola recipe is from the book Breakfast Lunch Tea, but I may have to try this one out. Thanks a ton! so delicious. I took a tip from nigella lawson and added 1/8 cup cocoa powder to the dry ingredients to make a breakfast cereal from my dreams.